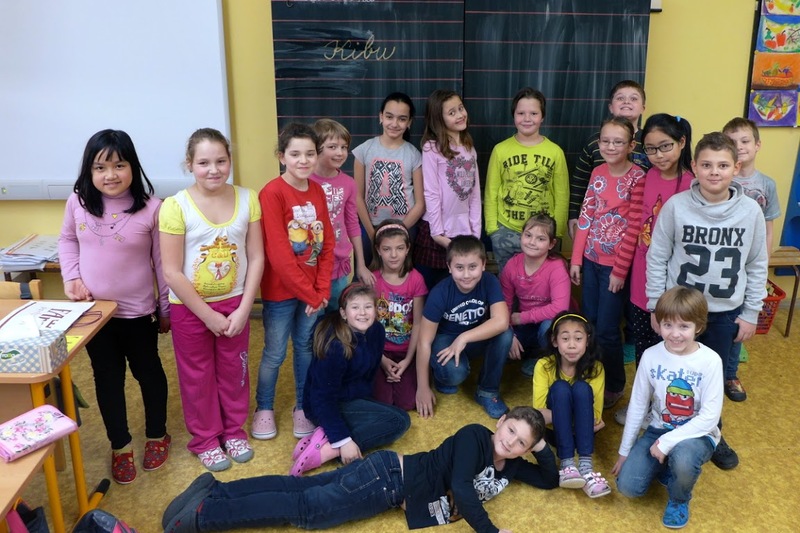 Recently my class of 8-9 year old kids from ZŠ Brno, Jihomoravské náměstí (a primary school in the Czech Republic) took part in several Zooniverse projects. First, they were just talking about their dreams – what they would like to achieve in life. Mostly, they wanted to become a sports star or music celebrity, but some actually considered becoming a scientist! Then they were introduced to the Zooniverse and citizen science. Fascinated by the idea than they can actually contribute to real science (so someone’s dream can come true), they dived into the list of projects on the Zooniverse website. All the cover images and project names were really attractive to them, sadly, only two projects are available in Czech. Anyway, the first project they started – Snapshots at Sea – was in English only. This project focusing on marine animals, especially cetaceans, is very simple though. The only task is to say whether there are any animals present in the picture. They learned the English question very quickly and classified over 200 images on their own. They asked various questions about those fascinating animals and looked hungry for more answers. Initially, they didn’t want to stop classifying, but when they heard the name of the following project to try – Penguin Watch, they were totally into it! This project, available in Czech, shows wintery images of remote locations in Antarctica, usually crowded with nesting penguins. The tasks here are to mark adult penguins, chicks, or their eggs, and any predators, if present. They took turns marking, trying to mark at least 30 penguins as quickly as possible so they could see another image. They couldn’t wait to find an egg. And after only 9 images they succeeded! 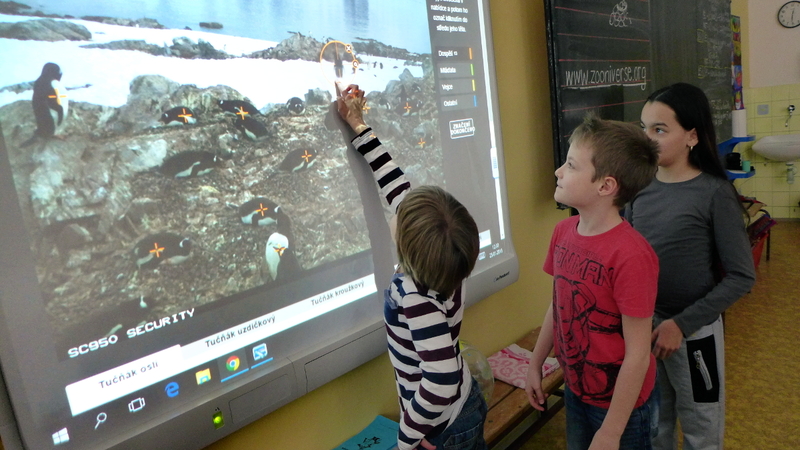 They were curious about Antarctica, as well as about penguins. They wondered, why it is so cold there, and how are long polar days and nights likely to happen. Answering their last question would have been a great step to lead into trying a space project, as many of them are available on Zooniverse. But, they decided to try another wildlife project, Chimp & See, a project monitoring wild animals in Africa, especially chimpanzees and their behaviour. 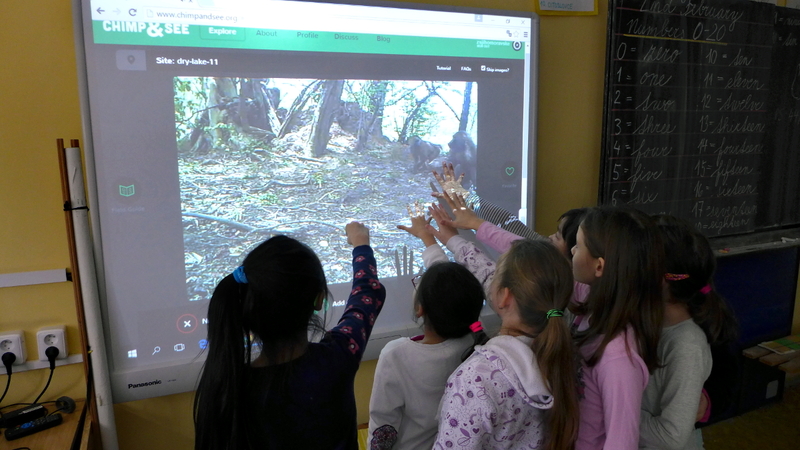 This project wasn’t as easy for them, as they were asked to identify unfamiliar animals in short video clips (they had to learn their names in English during classification) and then to describe their behaviour using a list of options. Surprisingly, they didn’t mind the language barrier much. After a short while, all of them were standing in front of the screen and everyone wanted to touch it! They seemed to be totally hooked. The researchers from Chimp&See were so kind to offer them the chance to choose a name for a currently unidentified juvenile chimp, captured on 4 different video sequences! The kids were really excited by such an opportunity and suggested a lot of names to choose from. They were voting in the end and all agreed on a single name – Kibu! When the lesson ended, many of them asked to create their own accounts, so they could participate on their own from home. Next time, we are going to try Plankton Portal and Floating Forests. Zooniverse projects are really a great opportunity for kids to learn about nature, they bring them to the real science, and not to forget, they are great fun! By Zuzana Macháčková, a primary school teacher in Brno and Zooniverse volunteer.